Today I'm here to share with you a favorite holiday project in my classroom. 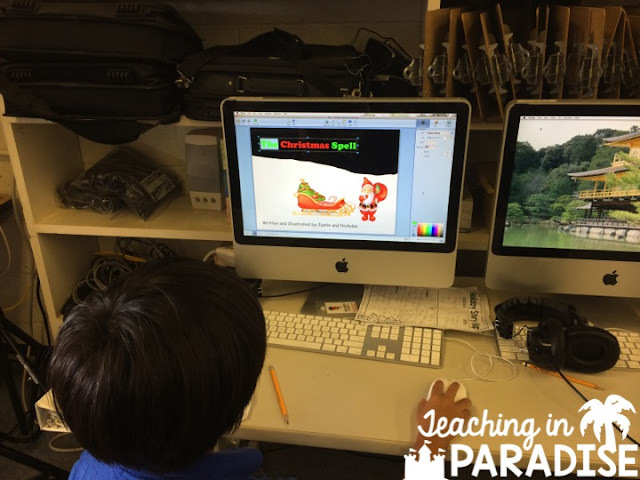 During the holidays, it's really difficult to keep the kids engaged/focused…but this project is always a hit! Kids beg to work on it -- and are dead silent and hard at work while doing so. Here's a sample of a completed project! To begin, students worked with a partner to fill out their story map. They brainstormed ideas and had to come to an agreement before filling out their story map. From there, they went on to the actual writing of their stories. The kids knew what their end product would be--so while they work on their writing, they are also planning out which sentences will go on what page. Students were so excited about this part and couldn't wait to get into the lab! Click here to download the story map. 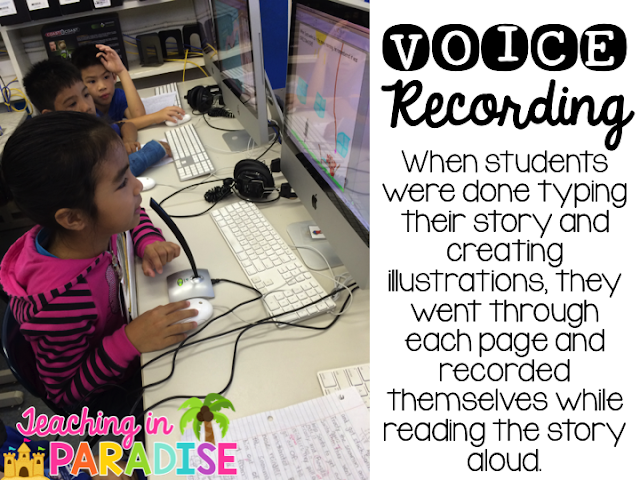 Once students were done with the writing, we went into the lab so they could begin creating their digital story books. For this project, we used the program Pixie. This is an awesome program because students were able to link up computer screens with their partners--so that they could both work on the illustrations at the same time. 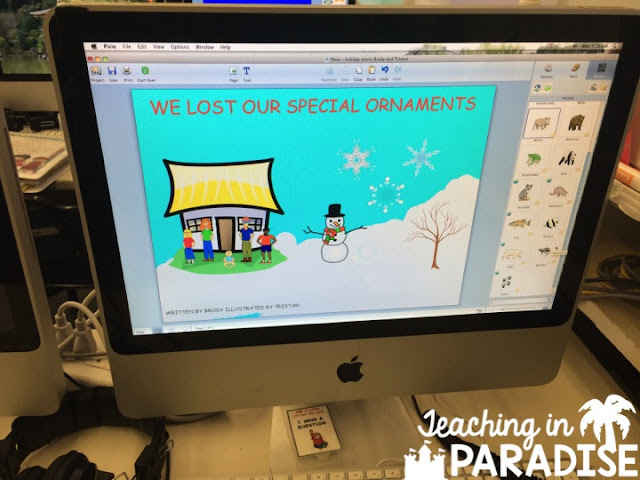 There are also many different clip art pieces the kids can use. It took awhile for the kids to learn to work together on this program. Since most of them chose to work on the same page at the same time, they would often go and change out little images their partner had placed…or change the color of the text, etc. After awhile though, they figured out how to work together to compromise. Since we could only work on this program in the computer lab, and that we had a limited number of days to work on it, this was incentive enough to get the kids to not argue and finish up their work in the given amount of time. During the last week of school, we popped popcorn and watched all of the holiday movies! The kiddos LOVED it. 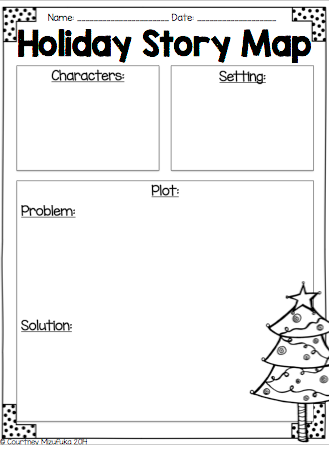 Here's one more: This was a great activity to do to keep the kids engaged during the holidays, but really, this could be enjoyed at any time throughout the year! I'd love to know if you end up doing this with your kiddos :) Happy Teaching!